PENSACOLA, FL – Majors Home Improvement, a leading Milton, FL-based home improvement company specializing in sunrooms and vinyl replacement windows and doors, has been ranked 175th in the top Exterior Contractors by Qualified Remodeler magazine. The 2013 chosen contractors are featured in the August 2013 issue of Remodeling, a national trade publication read by more than 80,000 professional remodeling contractors. The Exterior 200 ranking is extrapolated from Qualified Remodeler’s Top 500 list of companies that have set exceptionally high standards for professionalism and is based on reported percentages in each of the product categories including Windows, Siding, Doors, Sunrooms, and more. To appear on the Exterior 200 list, at least 50 percent of a remodeling firm’s revenue must come from exterior work. Each year, Qualified Remodeler tracks exterior contractor’s business activity. The 2013 Exterior 200 remodelers’ overall revenue was up in 2012, but they closed more jobs than they did in 2011 to earn it. 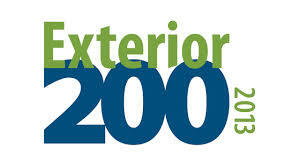 To view the full 2013 Exterior 200 remodelers list, click here.